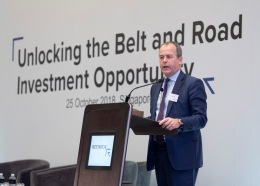 The immense scale of the Belt and Road Initiative presents a unique set of opportunities – and risks – for global financial professionals, investors and asset managers. Access to trusted, holistic BRI information is critical. BRI Connect is part of a suite of tools that provides access to comprehensive information including macroeconomic, market, financing, and geopolitical and operational risk data on BRI related countries, organizations and projects. Already an Eikon user? Simply search "BRI" to access the app. Learn more about the Belt & Road Initiative and how Refinitiv can help financial professions unlock its opportunities. With investment in BRI reshaping global commerce, here are nine facts that are often overlooked when evaluating the opportunities and challenges. Complete the form below to speak to an advisor. Already an Eikon user? Search "BRI" to access the app.